Toyota Motor Corp will limit initial sales of the electric RAV4 to those U.S. states that have mandates for zero-emission vehicles, Toyota USA brand sales chief Bob Carter said on Monday. Carter said sales of Toyota's all-electric vehicle will be expanded as demand grows in states that thus far have not adopted the zero-emission vehicle mandate first passed by California state regulators. The RAV4 to go on sale in 2012 will be built with a powertrain from Tesla Motors (TSLA.O). Carter, speaking at the Reuters Global Autos Summit, said Toyota sees hybrid vehicle as offering more -- and less expensive -- options for consumers and will continue to be the centerpiece of the worldwide auto sales leader's focus for alternatives to conventional gasoline-powered vehicles. Carter said Toyota wants to maintain its leadership as the U.S. market retail sales leader, which he said may be made easier in 2011 as a shift in sales increases will favor retail over fleet sales. Toyota's fleet sales are less than 10 percent of its overall sales, about a third the rate of U.S. automakers General Motors Co GM.UL and Ford Motor Co (F.N) and about a fourth the fleet sales rate for U.S. automaker Chrysler. Carter said that 2011 will show an increase of about 1 million in new vehicles sold, matching the 1 million-vehicle increase this year. 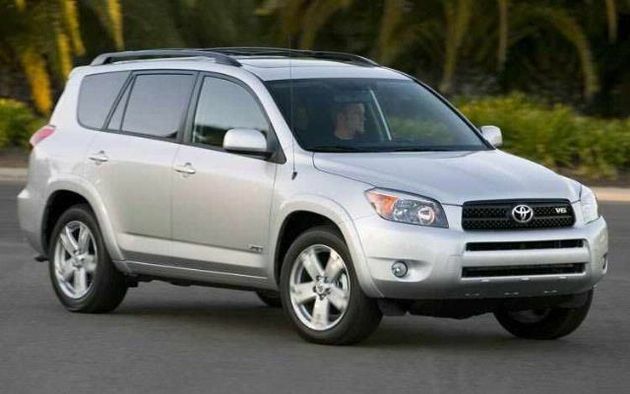 Toyota just finalized its forecast for 2011 and expects the U.S. auto industry's light vehicles sales to be between 12.5 million and 12.9 million, up from near 11.5 million this year and from 10.4 million in 2009, which was the worst year for U.S. auto sales since the early 1980s. "If the industry grows 1 million units this year, about 600,000 units should be retail and 400,000 will be fleet," Carter told the summit in Los Angeles. "On a percentage basis, retail will be up 5 to 6 percent and fleets will be up 20 percent. "Next year, we see growth being more on the retail side," said Carter, who added that consumers remain cautious but are slowly returning to new-vehicle showrooms. "You'll see our fleet sales go down, in terms of total volume and percent," Carter said.